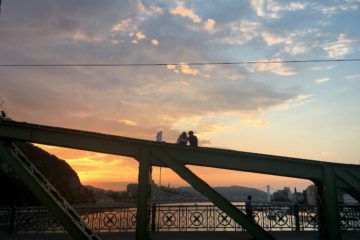 Okay, you landed in Budapest, and now what? We are here to help! 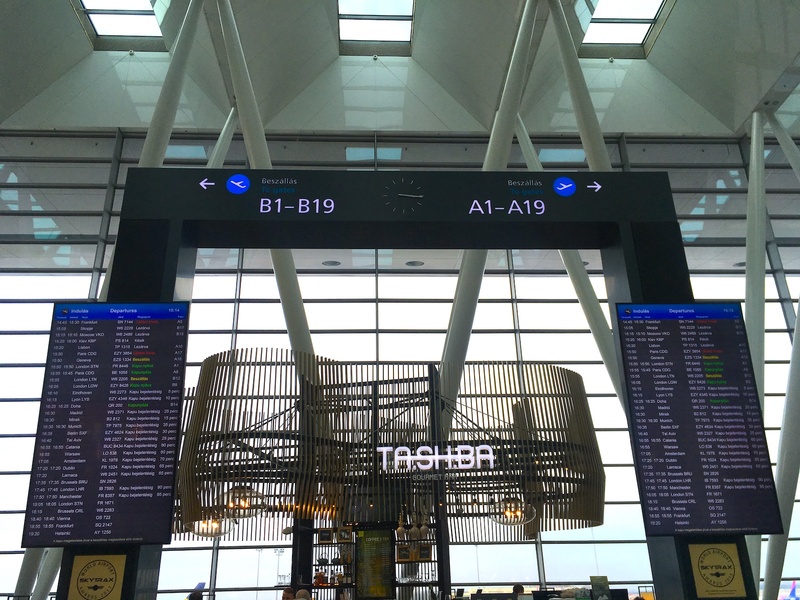 In this post we’ll tell you how the locals do it and make you a Budapest Airport pro. 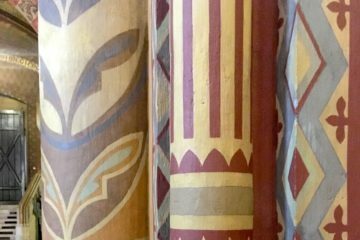 You’ll learn where to change money, how to get to the city (and back to the airport), and where to buy that last Túró Rudi or that cute hand painted vase for your mom. 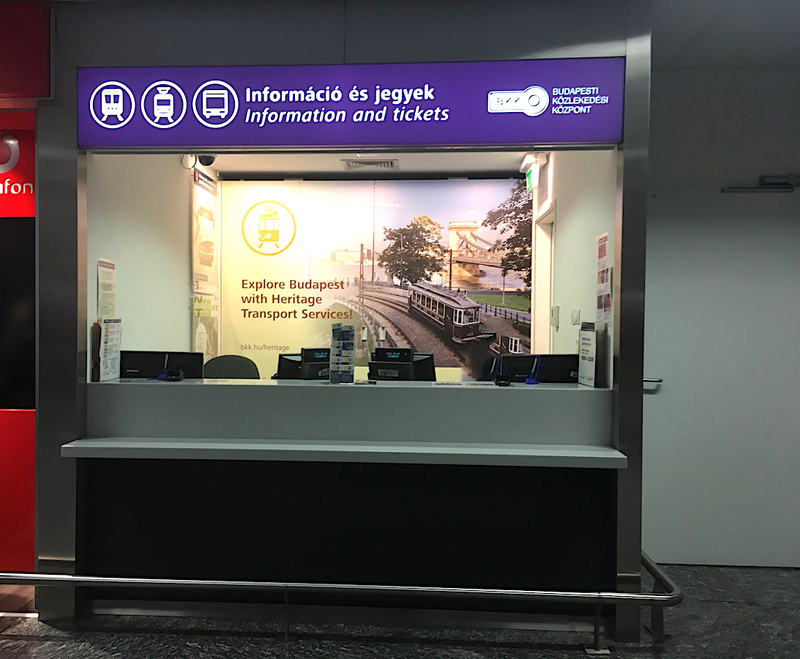 With our tips and tricks you can make your Budapest Airport experience smooth and easy! Hungary’s official currency is the Hungarian Forint, and later you will probably need some, but there’s no hurry. 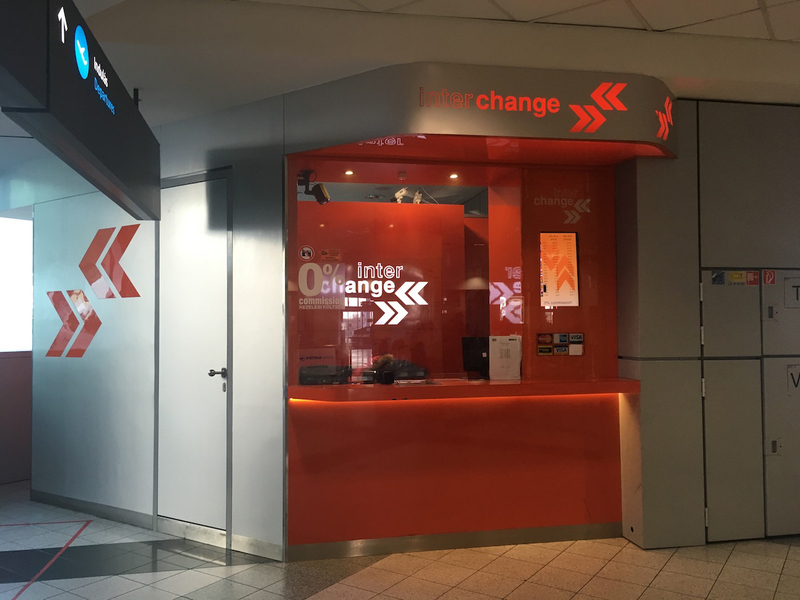 There is only one exchange company at the airport, and they take advantage of their situation. They are very proud of their 0% commission, but the problem is, their exchange rates are so bad you can end up losing 20% on the transaction. Our advice? Don’t change ANY money at the airport! You can use your bank card to buy your ticket for the public transportation, and you can pay with card or usually even with euros for the taxi. Change money in the city! 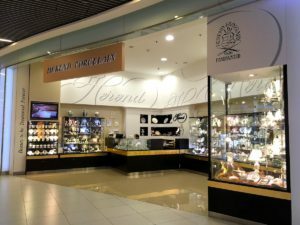 At a good office the difference between sell and buy for euros shouldn’t be more than 5 forints, maximum 10. 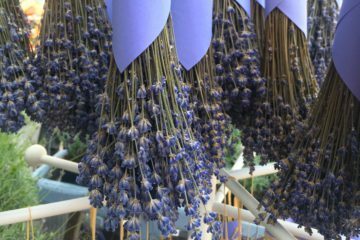 More on this topic in our blog post. 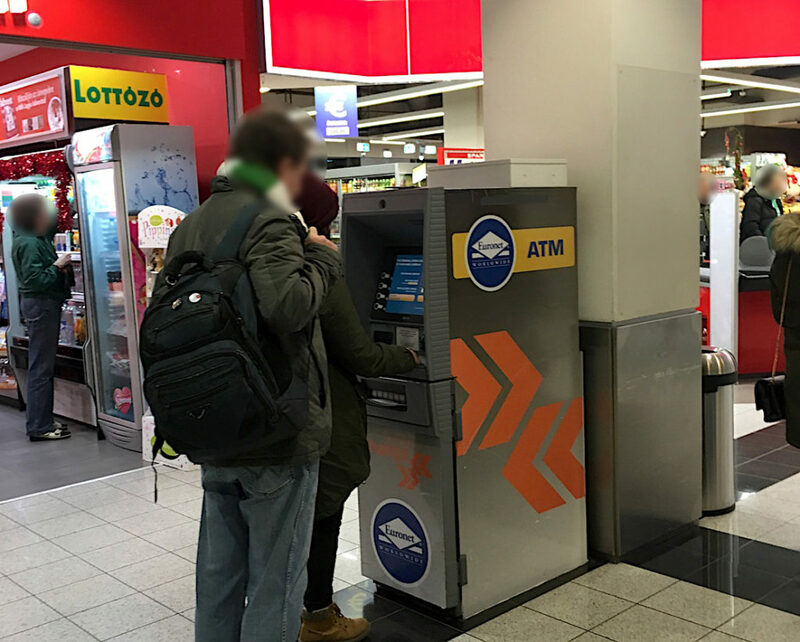 Unfortunately the only ATMs you find at the Budapest airport belong to the Euronet network and are run by the same company as the exchange office. Needless to say, their rates are not good. Wait until you get to the city and use the ATM of a proper bank. 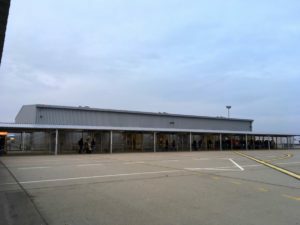 How to get to the city from the Budapest Airport? The two best options to get to Budapest from the Liszt Ferenc Airport are taxi or public transportation. Only use the official taxi company of the airport! 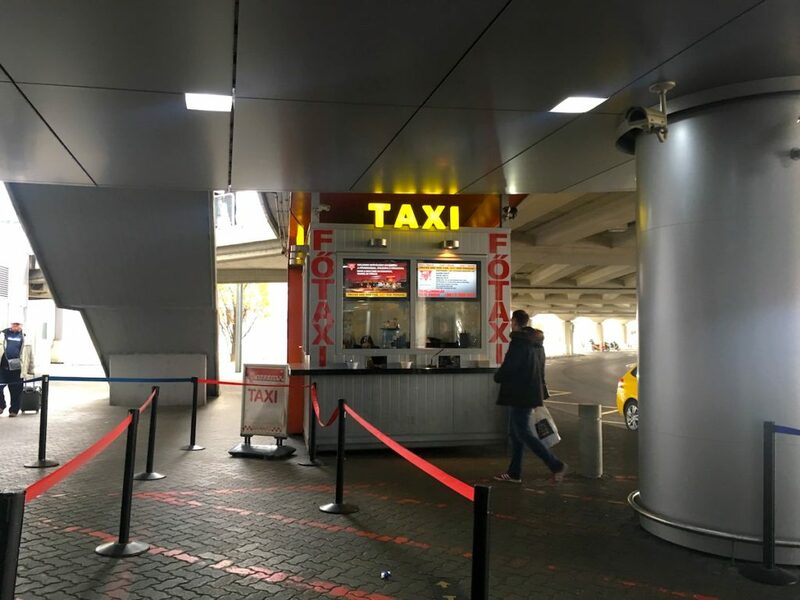 It’s called Főtaxi and they have a booth at the exit of the building. They work with a fixed, official rate, and a ride to the center will cost you around 25 euros, depending on traffic and distance. There might be some “independent” taxi drivers trying to take you, but don’t go with them, they are the ones who might overcharge you, take you on a longer route, or give you back the wrong currency. Always choose the official taxi company! You can book your ride at this booth. At the moment there is a direct bus service to the city center, it’s called 100E, the ticket costs 900 forints (3 euros) and you can buy it at the vending machine or the purple “BKK” booth inside the airport with bank card or Hungarian forints. 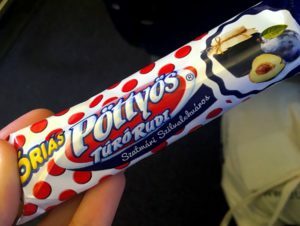 They also sell it at the bus, but here only forints are accepted. (The normal tickets and passes are not valid on this bus.) The 100E will take you to Deák Ferenc square, you can change to metro there if necessary, but it’s a very central location. Find the timetable here. If you have to wait too long for the 100E you should take bus 200E until Kőbánya-Kispest and take the metro from there. In this case you will need two single tickets, each ticket costs 350 forints (1,2 euros). Check out the 200E timetable here. The last one runs at 0:21, but after 22:59 they go to Határ út metro station instead of Kőbánya-Kispest, and you have to change to a bus there. This will change from the 18th of May in 2018, we will update this post soon. Google maps can help you with the details if you have data on your phone. In 2018 the M3 metro line is going through some serious renovations. In the meantime replacement buses run in the evening after 20:30 every day, and all day long on weekends. You can catch these buses just outside of the Kőbánya-Kispest metro station, which is also the last stop of the 200E buses. 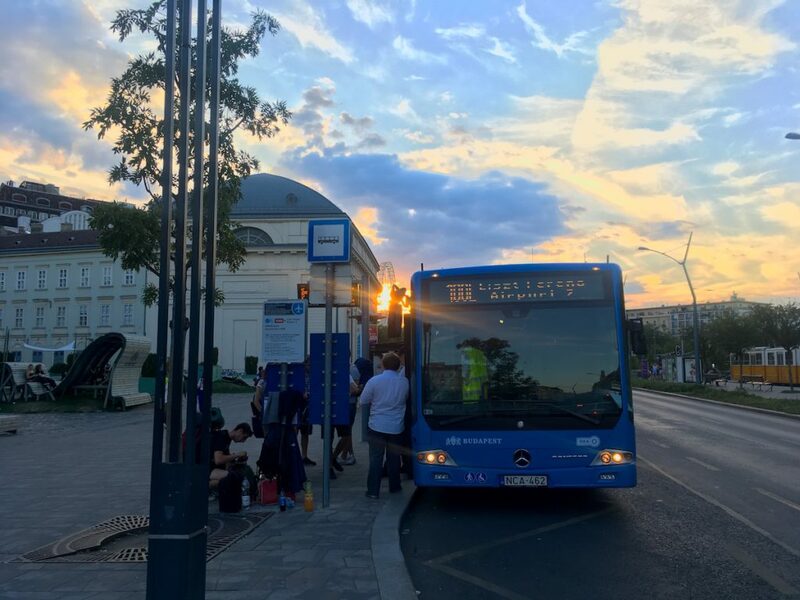 If you arrive late at night and if you are adventurous enough you can take the night bus 900 until the stop called Bajcsy-Zsilinszky út (it’s in the middle of nowhere, don’t be surprised), then connect to bus 950 – this will take you to the city. See the infographics about it here. It probably won’t be your favourite first experience though, so at night we recommend you to take a taxi. The miniBud shuttle minibus is the third option, but it’s not significantly cheaper than taking a taxi. It’s worth it if you travel alone. For one person to the city centre the cost is about 16 euros one way, 28 euros both ways. The price per person gets lower with more people. You can book it online or at the arrival. How to get to the airport from the city centre of Budapest? Going to the airport you can use any taxi company, but make sure that you don’t just hail a taxi on the street. Have one called or get it through an app – we don’t have Uber in Hungary, but you can use Taxify. It will take about 30 minutes to get there, but heavy traffic can make it longer. Take bus 100E from Deák Ferenc square until the airport OR take the M3 metro line until Kőbánya Kispest, and then change to bus 200E. Read about tickets above. The direct bus takes about 35 minutes, but often it’s very crowded, and sometimes it can’t even take everybody. Even if the bus-metro combination is slower (around 50 minutes), we locals prefer this version, because we are definitely not left behind. 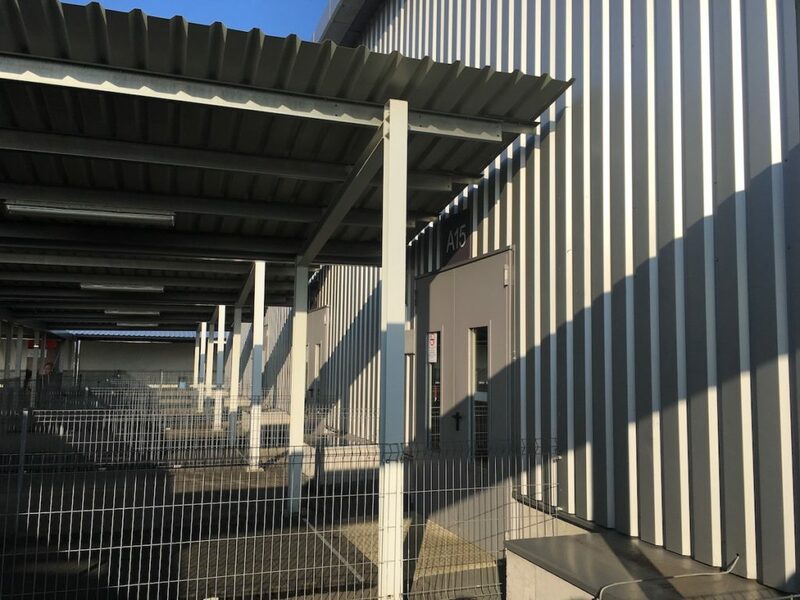 (The direct buses will run more frequently from the 18th of May 2018.) Whichever option you choose, leave enough time before your flight to get to the airport! Needless to say, change in the city all the forints you have left, or just spend it at the airport, don’t leave big amounts to change there. 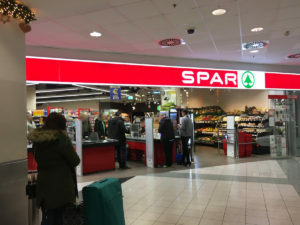 One of our favourite features of the Budapest Airport is the Spar supermarket on the ground floor (arrival level). 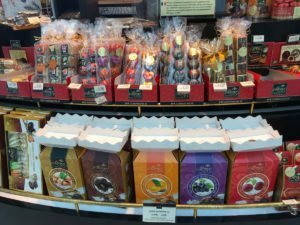 Perfect to buy a last snack or edible souvenir before flying out – the prices are the same as in the city. 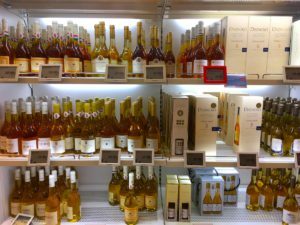 Don’t forget that you can’t take any liquids above 100 ml through security in your hand luggage. 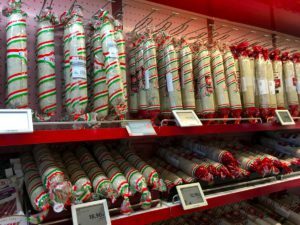 After the security check you will find of course a duty free shop – they have a nice selection of Hungarian alcoholic drinks (wine, Unicum, pálinka) for a good price, and you can find here the famous Pick salami or foie gras as well. 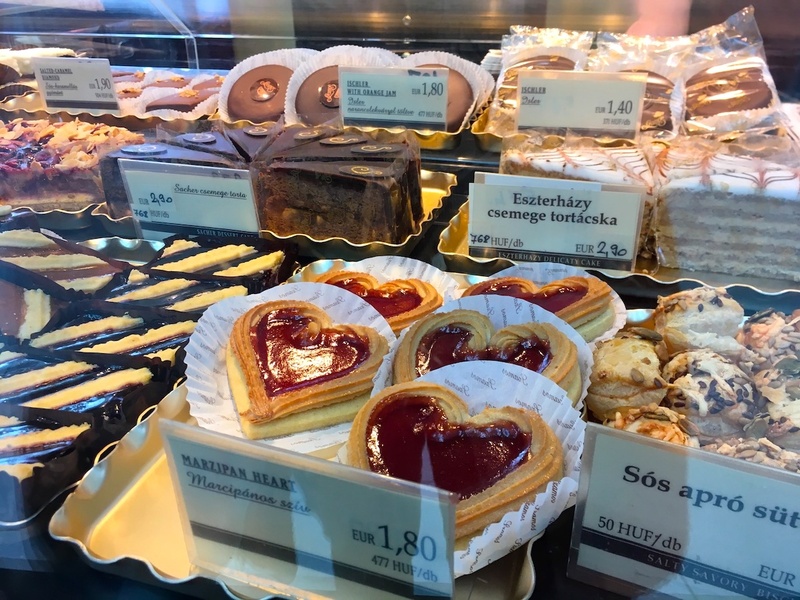 There is also a Szamos Marzipan shop to buy some yummy treats or to grab a last cake – not much more expensive than in the city. 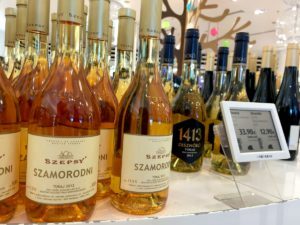 In the Hungaricum shop you will find a great selection of Hungarian wines, but the prices are higher than in the duty free shop. 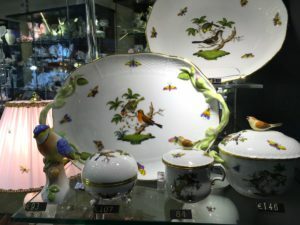 If you are looking for a luxury item to take home we recommend the Herendi Porcelain – this manufactory has almost two centuries of history and still today everything is hand-made. There are some affordable fast food restaurants upstairs as well as Italian, Asian, Greek kitchen. For the most gourmet experience you should head to Ta.Sh.Ba – abbreviation of tapas, sushi, and bar. It’s not going to rock your world, but it’s decent airport food. Don’t forget to stay hydrated while travelling! If you would like to take some water on board but don’t want to pay 1,5 euros for half a litre just take an empty bottle through security and fill it up in the restroom. Tap water in Hungary is safe to drink and it tastes fine, and this way you also waste less plastic. Go Earth! Be aware though: lately the low-cost airlines take the bigger carry-on luggages of the last few passengers and place it among the checked-in baggage. If you want to avoid it have a backpack instead of a suitcase or get in line early. 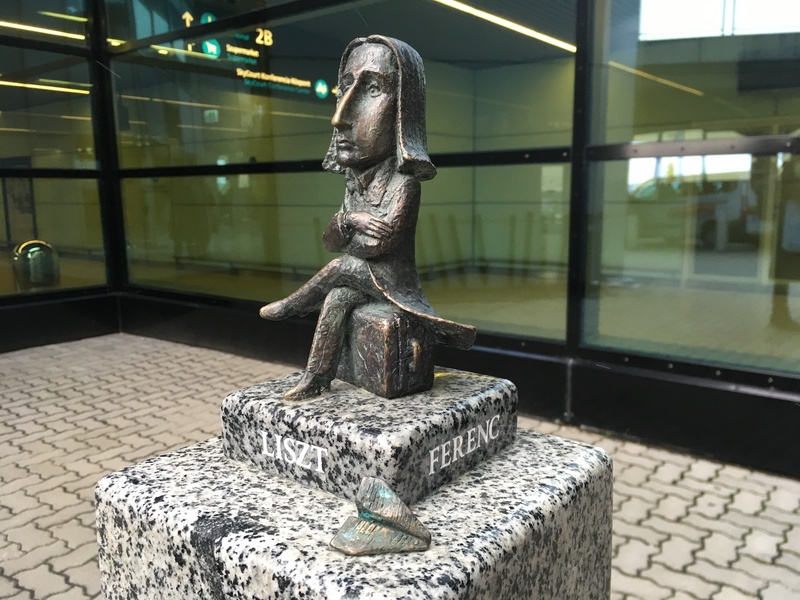 The airport of Budapest is named after Franz Liszt (or Liszt Ferenc, as Hungarians call him), the most famous Hungarian composer and piano player of the 19th century. He was a huge star in his time performing all over Europe. If he lived today he would definitely use this airport all the time! Would you like to learn more about him? Just tell us when booking your Budapest 101 Tour. 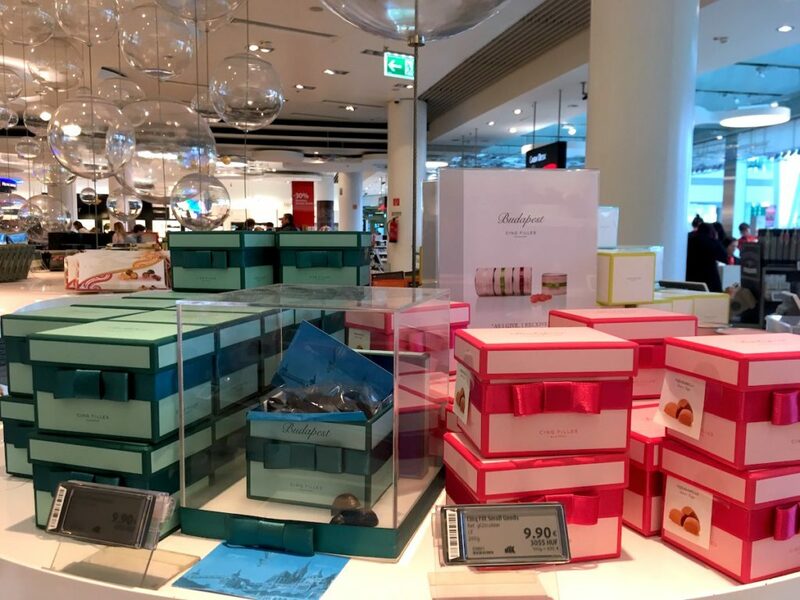 Szamos Marzipan is also a great gift! Spar is located at the arrival level and it’s a great place to get your last snacks for a normal price. Túró Rudi, the favourite sweet snack of Hungarians – grab the last one at the Spar supermarket.